One of the most annoying things in the world is waking up, dragging your feet into the bathroom, brushing your teeth, only to look up and see a shining pimple sticking its ugly head out. How did this happen? You scrub your face everyday, drink plenty of water, and take care of your skin better than anyone you know. So what did you do wrong? The answer is, nothing. 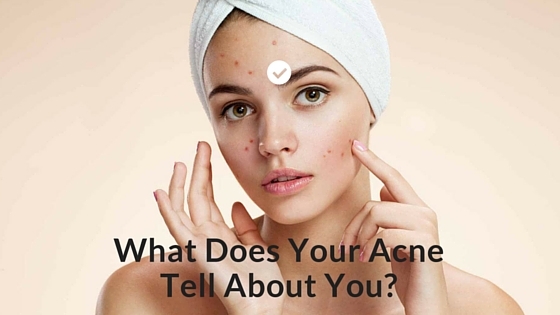 The public has taught us to believe that acne is a cosmetic issue. Actually, it’s not. It’s a disease and just like any other health concern needs to be handled properly. Sure, there are doctors and skin professionals that can prescribe you ointments that will help you reduce the symptoms appearance, but this doesn’t fix it for good. We’re going to explain how Chinese acne position theory can help you eliminate and prevent the unattractive skin devils permanently. There’s an unreal amount of science behind the human body. What we can’t deny though is that something as little as a stress can result in insomnia, anxiety, and even the development of mental illness. Chinese acne position theory utilizes body science to determine what is causing acne in specific areas. 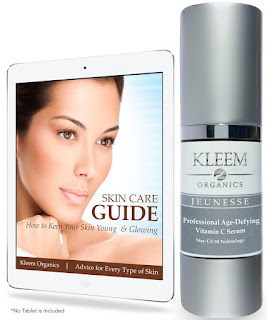 This makes it more possible to make small adjustments to your lifestyle preventing and eliminating the skin flaws. Let’s look at why acne may make its appearance on certain parts of your body and what you can do to help skin maintain its creamy nature. 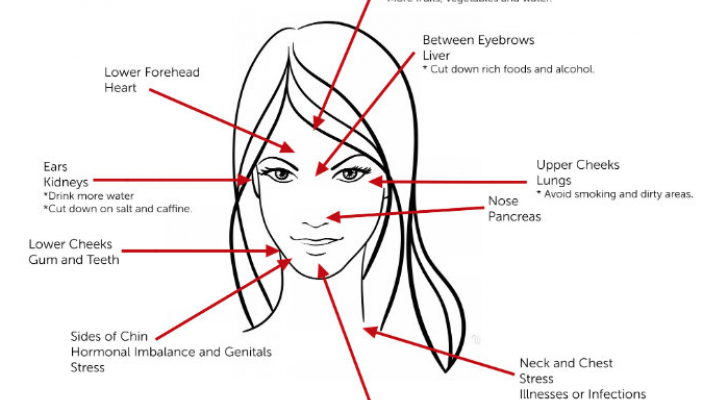 This is the most common place that acne troubles people. It’s obviously visible and only stresses you out even more! What the popular theory has discovered is that individuals with amplified irritability and frequent stressors tend to develop acne on their foreheads. It’s directly linked to the digestive and urinary systems as well. To reduce the aggravation of these systems that are linked to bad temper, we suggest fresh air. It might sound silly, but outdoor activities early in the morning and crisp air have been proven to aid in the recovery of fatigue and stress. The most annoying place for acne to us, is by far the nose. It’s like someone decided to label you as Rudolph for the day, not fun. Your nose acts as a beacon for stomach and liver issues. It’s known that a red nose and signify an unsettled stomach, hypertension, and a sudden rush of hormones. To prevent and eliminate the pimples, take it easy on alcohol, eat more meat, and consume less acidic foods. Your chin and lips are less common places for acne, but definitely tarnish an image. Not to mention that in a recent survey people are MOST hesitant of others with mouth acne. This is mostly caused by a hormone imbalance and tends to be more common in women. If it appears regularly, chances are that there is some kind of issue with your reproductive system. No worries though! Changing your diet and being aware of chemical exposure can help you put the balance back and eliminate pimple exposure. Eat more vegetables and stay away from greasier foods. If you already eat very healthy, consider switching face washes or toothpastes. Any way that you look at it, Chinese acne position theory heavily encourages your skin and physical health. There’s really nothing to lose. At the very least, you’ll notice an incredible increase in energy and mood. Now that you’re prepared to tackle acne in the most natural science proven ways, don’t you want to tell a friend? You’re not only promoting the glow of your skin, you’re also encouraging others to do the same. We know YOU will be ecstatic about the results. So show off your radiance and let your family and friends know your new skin secret. They’ll love you for it.